Back in the day when we were kids, we never thought where we would be when we grew up. And then we grew up. Scores of years later, I came across Rana, one more time through the internet. When you walk away from a place, in your mind the time seems to have stopped for that place. In your mind, the images, the people freeze. My mind also had a picture of Rana as that guy I knew during school. I had frozen him back in that time too. As I started interacting with him, I saw him as a person I knew from cryogenic chambers of my mind, yet I saw another side of him. Even being separated by more than 6000 miles, I could easily identify with him. He is like my long lost brother. Rana writes. And he writes beautifully. What follows here is a piece he shared with some of us recently. It is a well thought, well written piece. So I decided to share it with the world. 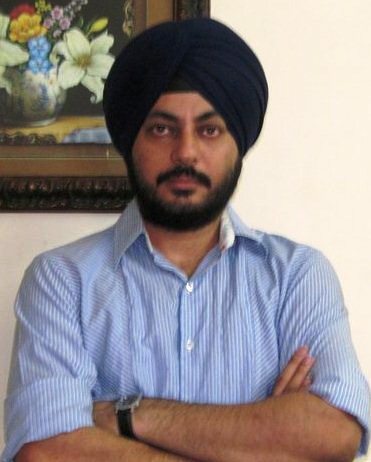 This is the first contribution "guest blog" by Gurpreet Singh Rana, and that too without his knowledge. His writings may seem small like marble, but if you look closer, they envelop the universe. I hope he will contribute more "knowingly" in days to come and tickle our gray matter. Here he is with "The Creator and His Creation"
What if I create a world of living beings? Drew they lines; the countries,the continents came into viewing. Sad He sat as He saw the corruption, oppression and the truth taking a defeat. Who is the one who has made all these belongings? How do I believe that He made all which I am perceiving?